Item dimensions: 1/4in x 3/4in. 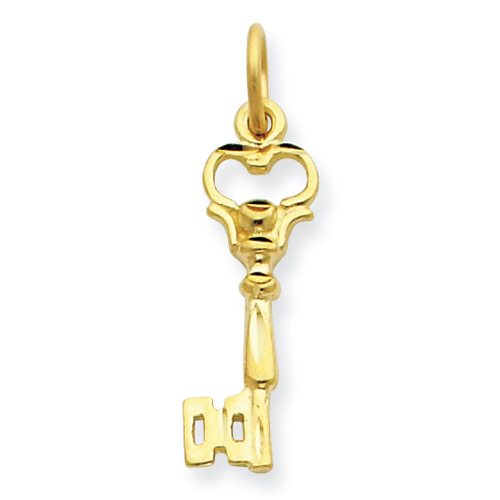 Diamond-cut, 14kt yellow gold charm weighs approximately 0.75 grams. Chain not included. Made in Canada.